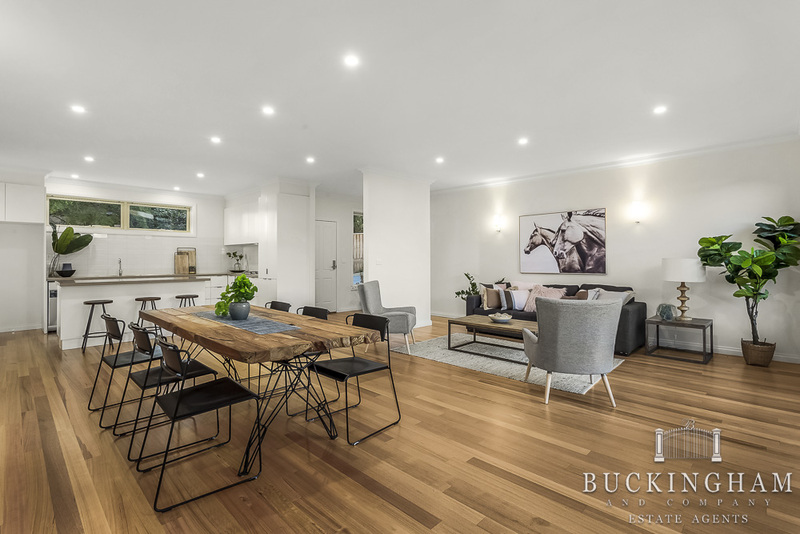 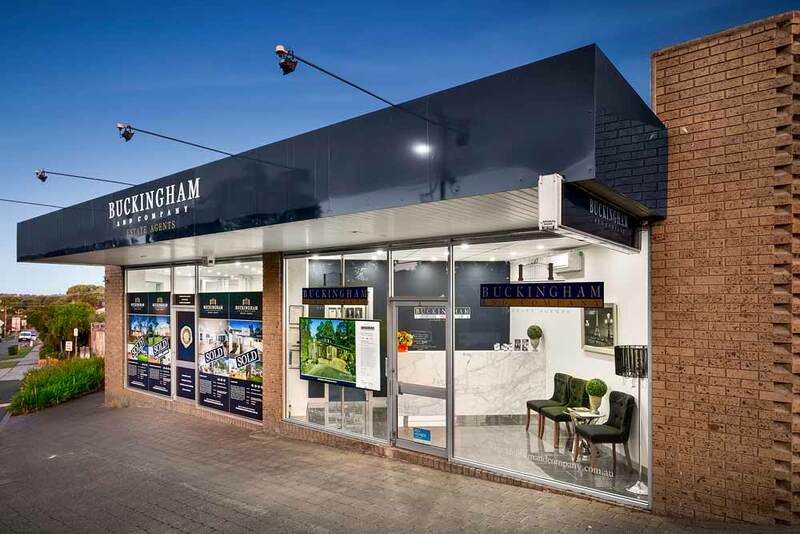 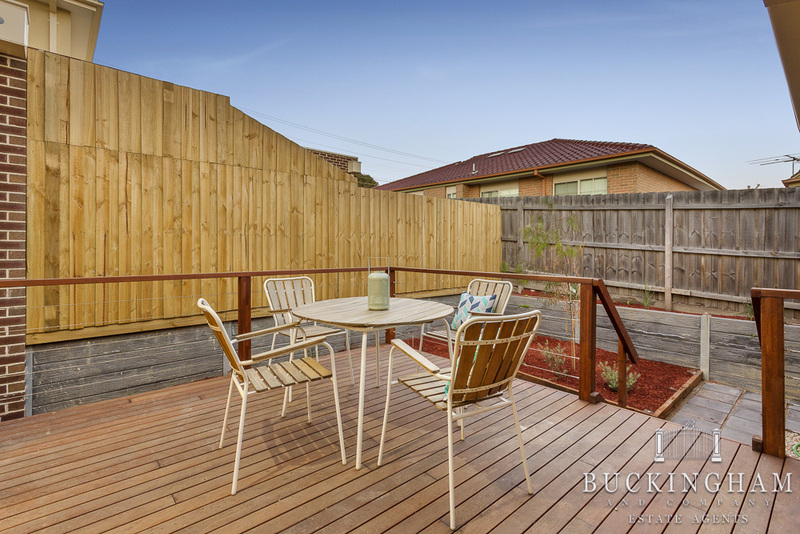 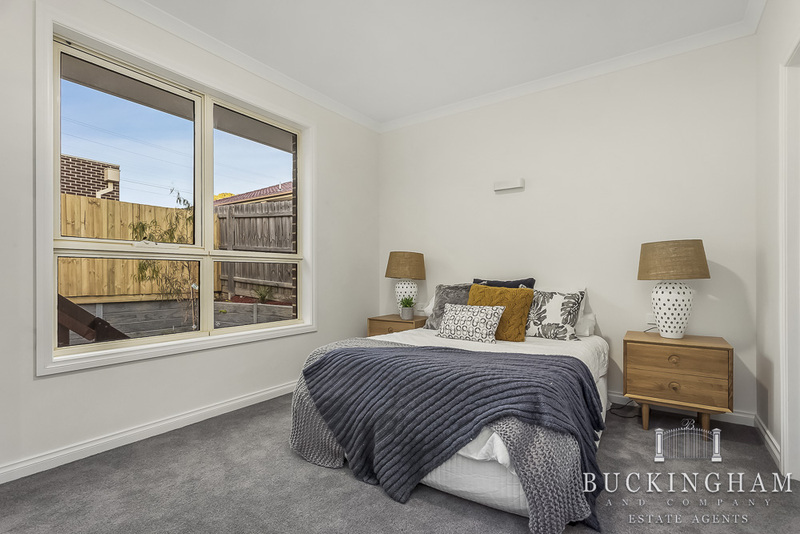 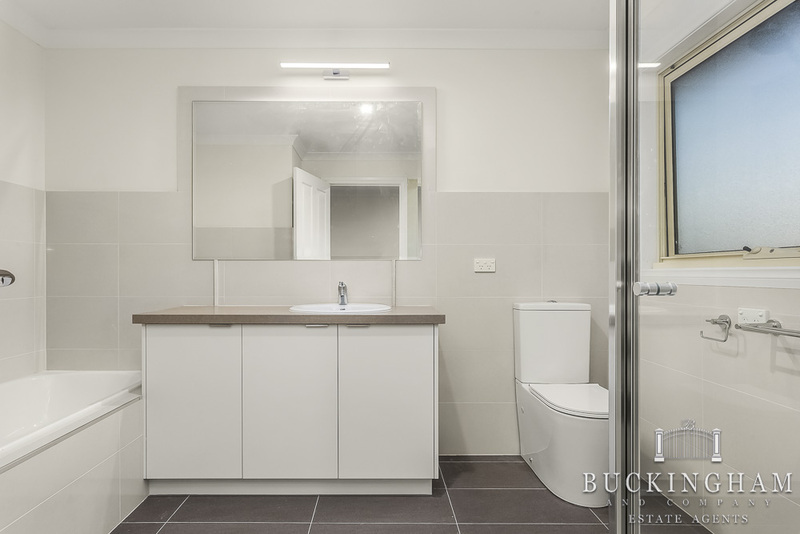 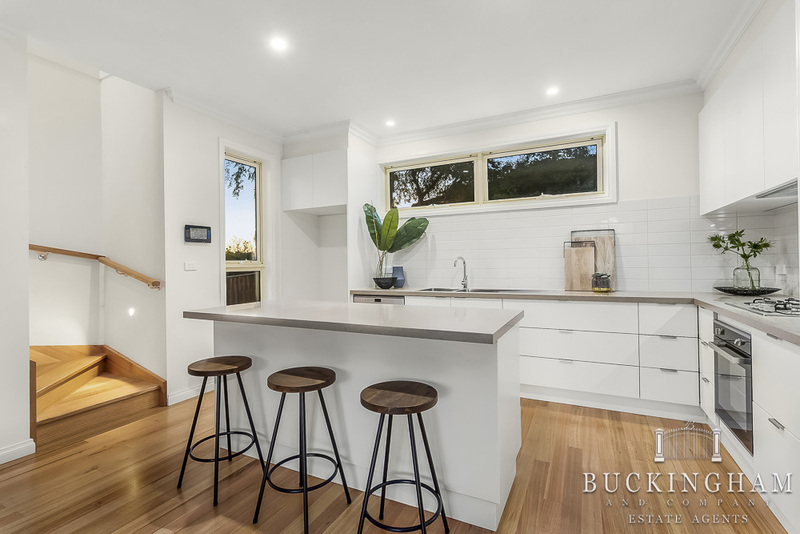 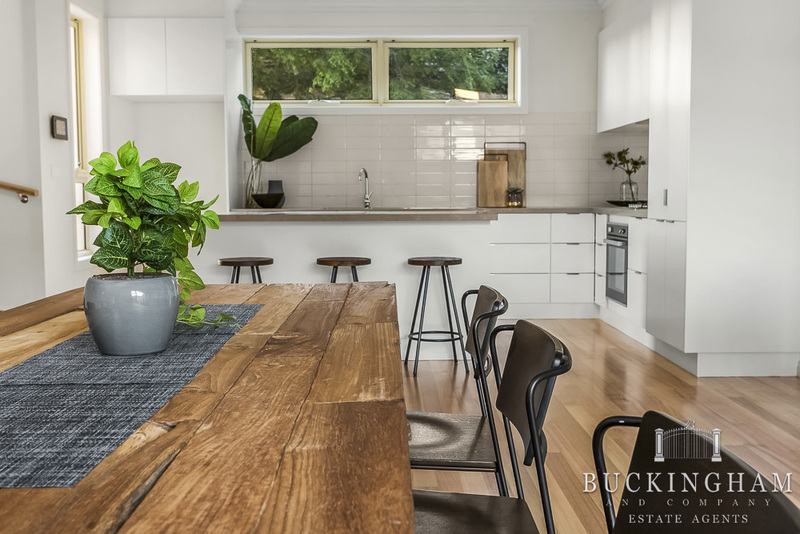 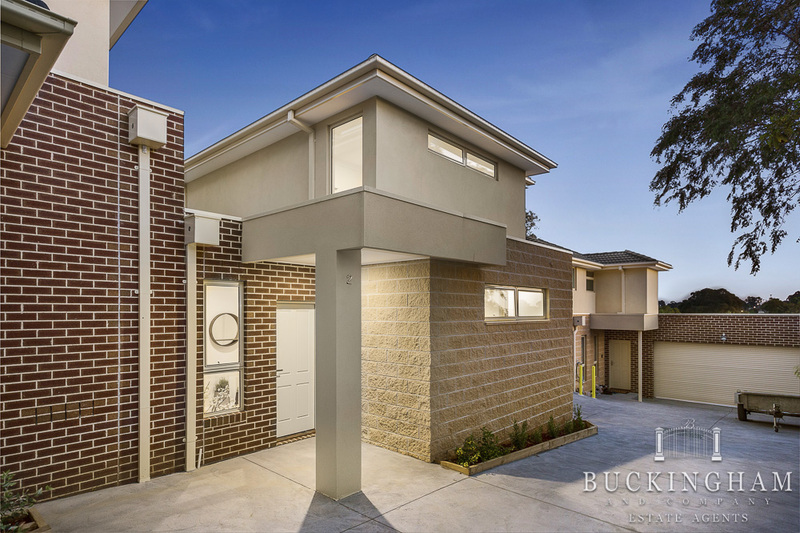 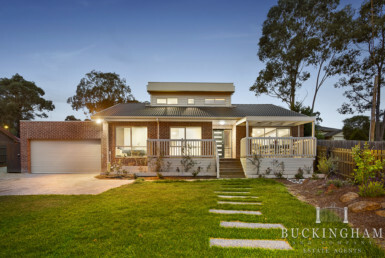 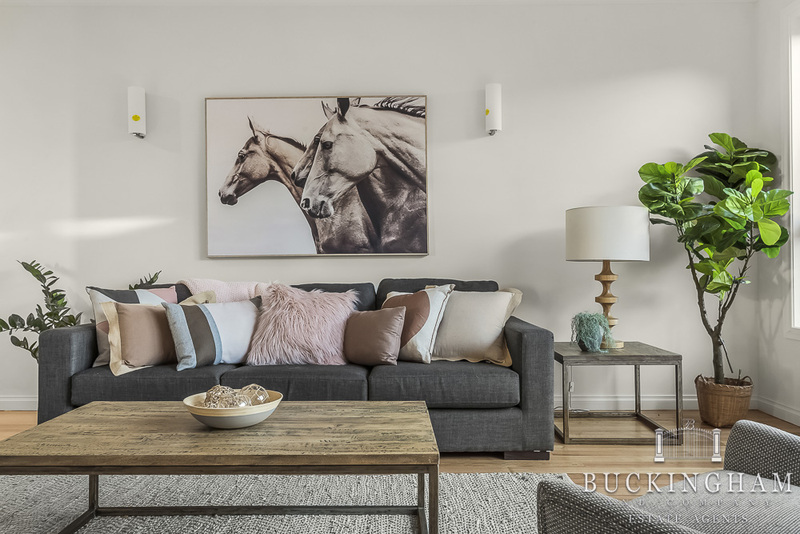 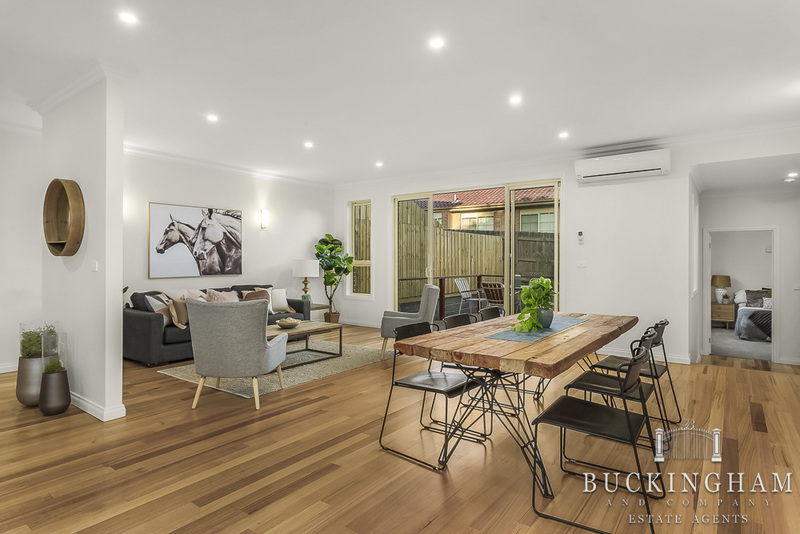 Just a short stroll from the heart of Greensborough, this sparkling brand new home offers a gleaming interior with elevated outlook and unrivalled convenience. 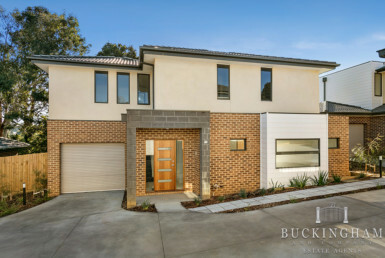 Hardwood floors, designer styling and modern décor in crisp white set the mood in this stunning home comprising a light-filled kitchen/meals/living zone with adjoining alfresco deck (ideal for entertaining), Caesar stone kitchen with stainless steel appliances and soft-close cabinetry, 3 robed bedrooms (main with WIR/ensuite), sleek bathroom, powder room and full-size laundry. 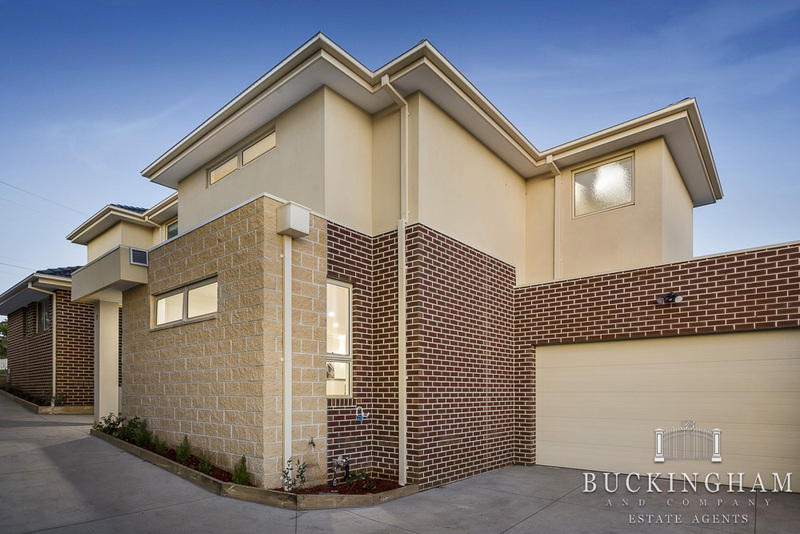 This supremely low maintenance home also enjoys split system heating/cooling, LED lights, double garage and many quality extras. 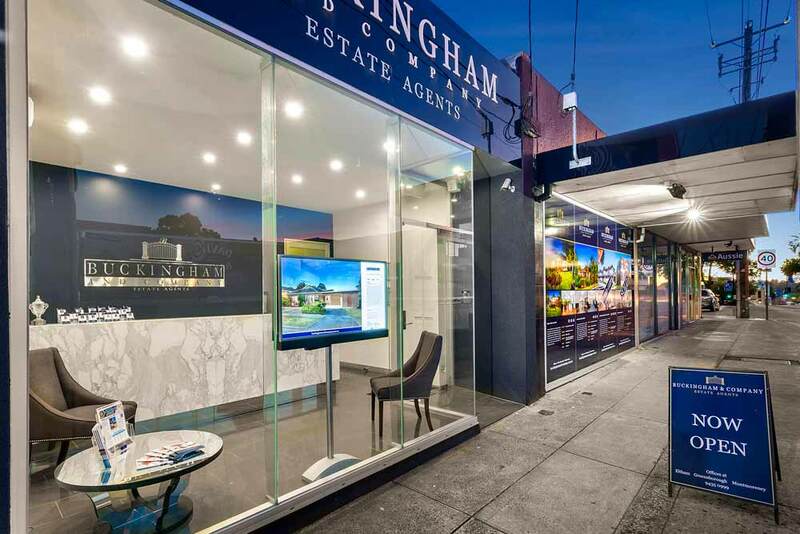 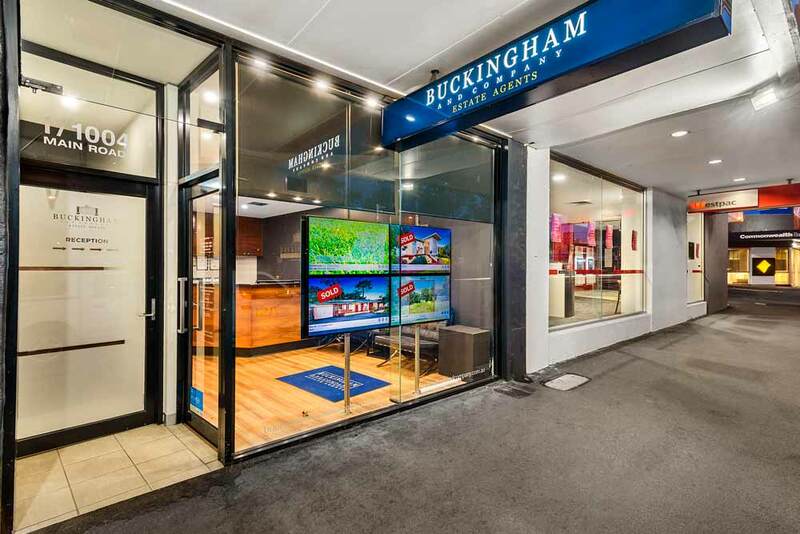 An easy walk to the train, bus and Greensborough Plaza. 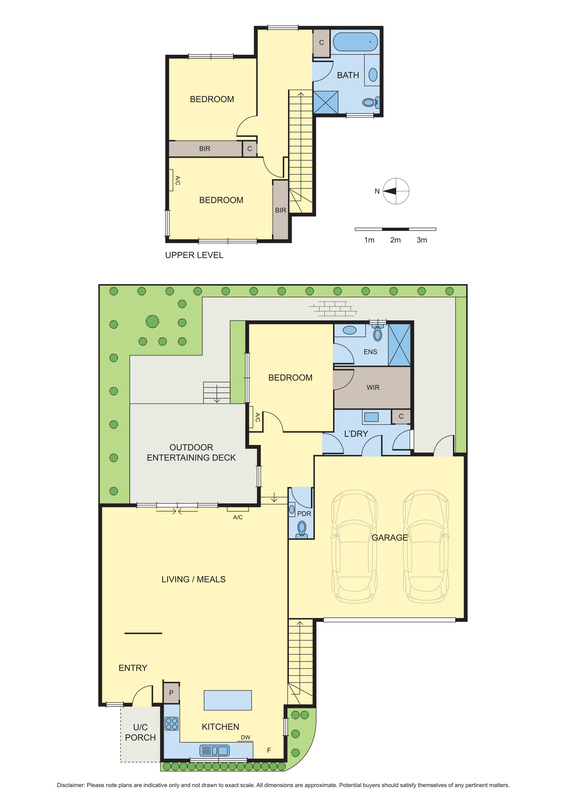 Brand new conveniently located homes!